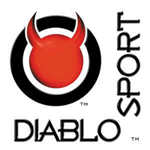 DiabloSport is an industry leader in the electric handheld programmers of engine control units for Ford and GM vehicles. DiabloSport electonic tuner products focus on building power and increasing fuel mileage in gas and diesel vehicles. DiabloSport pocket programmers and dash mounted units are easy to use and are proudly made in the USA. Look no further than UPR Products to purchase a tuner by Diablo Sport at unmatched prices!